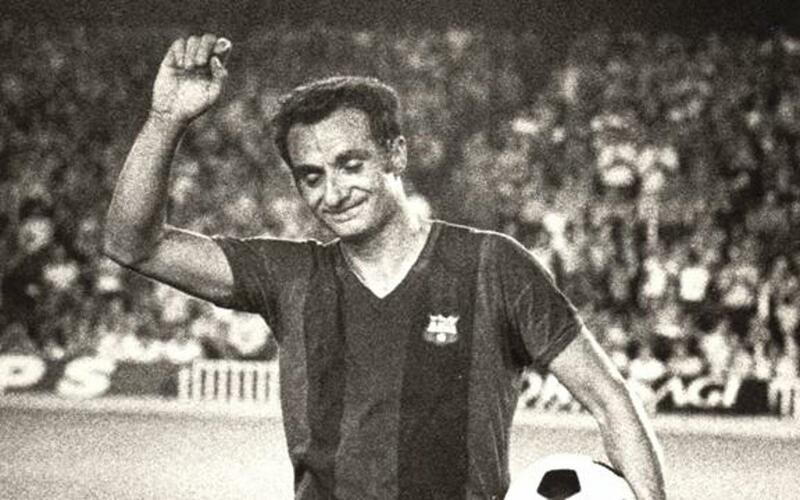 He joined the first team in 1962 after playing in the Club’s youth teams and spending two more years on loan at Osasuna, Fusté became a motor of the Barça team of the sixties, with his wonderful ball skills. The Catalan was a great supporter of improvisational and spectacular football, had a great shot with both feet and was a good passer with a strong physique which made him an explosive player on the pitch. He was a midfielder, linking up with the forwards and he was so important to the team that when he played well – Barça played well. The Club paid tribute to him at Camp Nou on 30 August, 1972. After he retired he became the head of the ex-players organisation, la Agrupación de Veteranos, until 1989 and since 2010 he has been a consultant to the Club board.